Thinking of what constitutes "raw food", it may be difficult to imagine what a raw foodist would eat: foods like crudités, salad greens, fruits, nuts and seeds may traditionally spring to mind, but which sounds a wee bit boring, right? 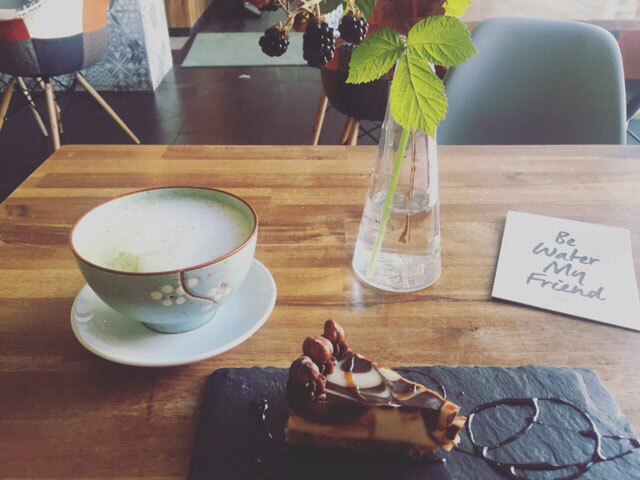 However, at Rawtastic in Prenzlauer Berg, where every item on the menu has been carefully created for maximum flavour, nutritional benefit, and aesthetic effect, boring is definitely off the menu. Dishes like the 'shroom burger—a delightfully moist patty served with extra 'shrooms, a crunchy salad, sprouts, sweet potato chips, ketchup primavera and mayo—take raw food to a whole new level. And getting to this level is quite the process, as the premise behind eating raw is that food is not heated above 42ºC, as once past this point, the enzymes and nutrients in the food begin to diminish. So even though this dish looks elegantly simple, the patty has been dehydrated at 42ºC for 16 hours—surely an organisational feat for the chefs in the kitchen. I've had the pleasure of getting to know the owner of Rawtastic, Simon Francis, and his team. I was thoroughly impressed with what they've got going on: fuss-free yet attentive service; a minimalist interior with a dash of quirk, complete with an Icelandic moss wall in bright shades of verdant green; dishes served on black, Rawtastic engraved splates (stone plates) from Ireland and cutlery from Hong Kong—all paying homage to the many years Simon has spent trotting about the globe. Originally from Manchester and having lived away from home for a long time, Simon moved to Berlin, a city which combines his two loves: veganism and tango dancing. 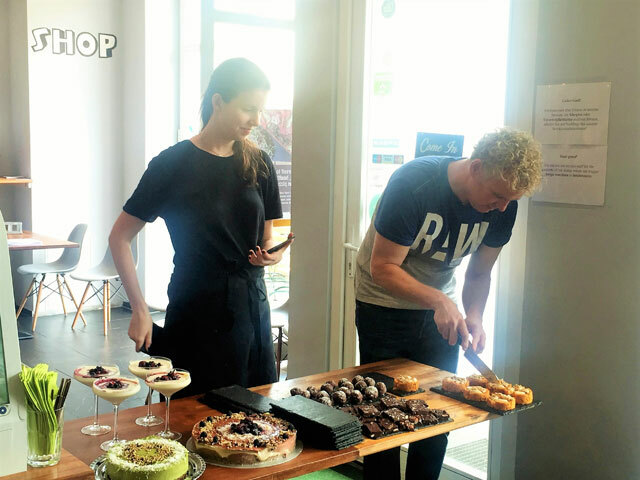 Simon's dream was to open up a raw vegan restaurant, which he did on Danziger Straße in September 2015 after seeing that there was a gap in the market here. A vegan for going on 15 years, Simon started eating 80-90% raw food a while back and has experienced first-hand the difference it can make, with significantly higher energy levels, having a much better outlook on life, and if he's just completed one of his 7-10 day 100% raw "cleanses", he can feel pretty damn invincible. Simon has hired a team of nutritional experts who are either Food and Nutrition Coaches or very knowledgeable in this area so that when the dish reaches the customer, it's going to provide an enormous shot of goodness for the body. Dishes like avocado un-toast, which is raw sprouted buckwheat "bread" topped with smashed avocado, lemon juice, and sprouts; and RaWvioli, made up of paper-thin seasonal vegetable slices filled with basil pesto, cashew cheese, and tomato-walnut pate served with arrabbiata sauce are not only a delight to the palate, but they also leave you satisfied, perfectly full, and feeling rather virtuous. And then there are the amazing raw desserts: avocado, matcha, and lime cheesecake, carrot cake, pannacotta with berry sauce, and cashew lemon cheesecake, where the key ingredient is fermented cashews. The desserts are all packed with the best and brightest ingredients on offers, like goji berries, activated cashews, and sunflower seeds, matcha powder, coconut oil, raw cacao powder, berries, lucuma, and carrots. They are also sweetened with natural, unrefined sweeteners like coconut palm sugar, coconut nectar, xylitol, stevia, and yacon syrup. It makes for a healthier sweetie treatie, where taste is never compromised. 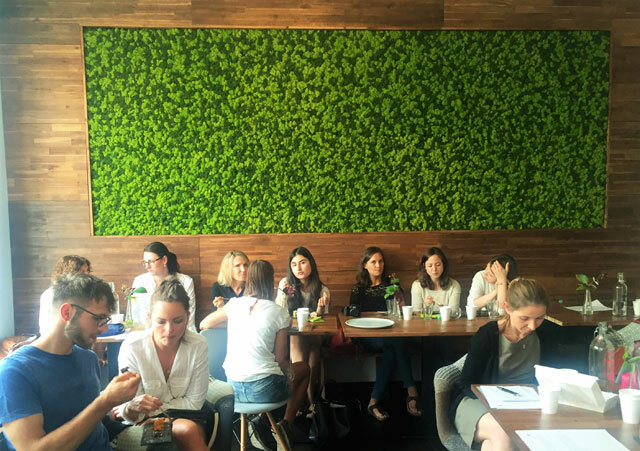 What is most inspiring about what Simon and co. are doing in Berlin is that they are creating a community of raw food enthusiasts, people who are passionate about healthy eating and engaging in a better way of life. For example, one way that Rawtastic is building this network around them is through hosting un-cooking workshops to educate people about incorporating raw and superfoods into their diets and how to recreate some of their delicious dishes at home. 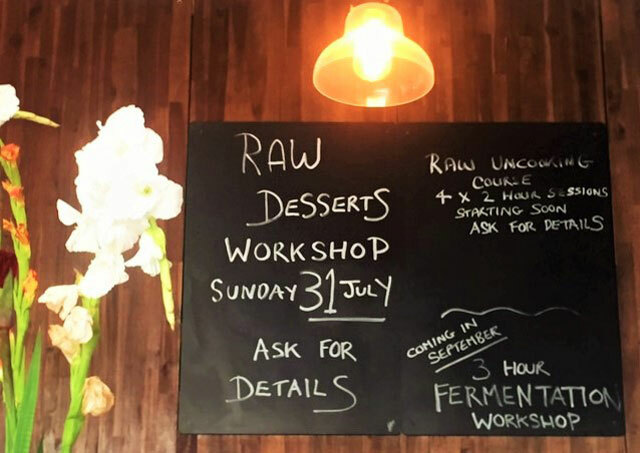 I attended a Raw Cakes and Desserts Workshop on Sunday and, as a lover of all things to do with health and well being, I was once again in Super Foodie heaven. To learn more about the processes behind creating raw food dishes and the effects that certain foods have on the body was fascinating. For example, did you know that maca powder, which has been used by Peruvians for thousands of years for its nutritional and medicinal properties, boosts libido, enhances fertility and reduces depression? And matcha powder, which is powdered green tea leaves (as opposed to the leaves being steeped in boiling water) has 60.5x more antioxidants than spinach, 7x that of dark chocolate and 17x that of wild blueberries?! There were more than 20 people in attendance at this 3-hour workshop, and it was relaxed, engaging, informative and in no way staged like some workshops can be. This was real life, where real people were doing real things: "Whoops, I've forgotten the coconut nectar for the buckwheat granola, I'll just pop into the kitchen and get some"; "I don't think that there are quite enough soaked cashews in here, can you please get me some more?" We got to try all of the things that were created and were also given recipe handouts so that we could give it a crack at home. It was well worth the effort of an early Saturday night to bed, as well as rather amusing furiously biking to the workshop on a balmy Berlin morning and seeing all of the revellers who had partied all night, slowly making their way home from the club, kebab in hand, all sweaty and bedraggled. On this occasion, I was on the other side, the side which is much more wholesome and refined. I love what Rawtastic is doing and in a place as hedonistic and party-centric as Berlin, I think Rawtastic is waving the banner of a new Berlin, one of well-being and balance, which can only be a good thing.